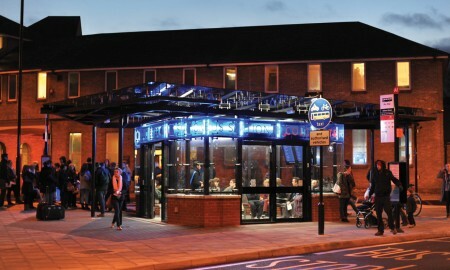 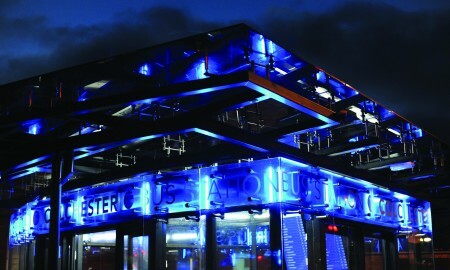 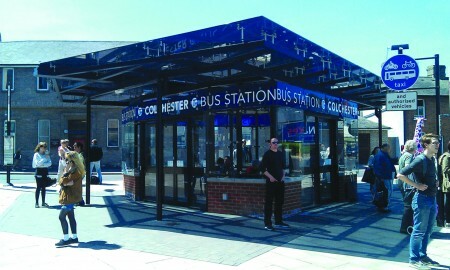 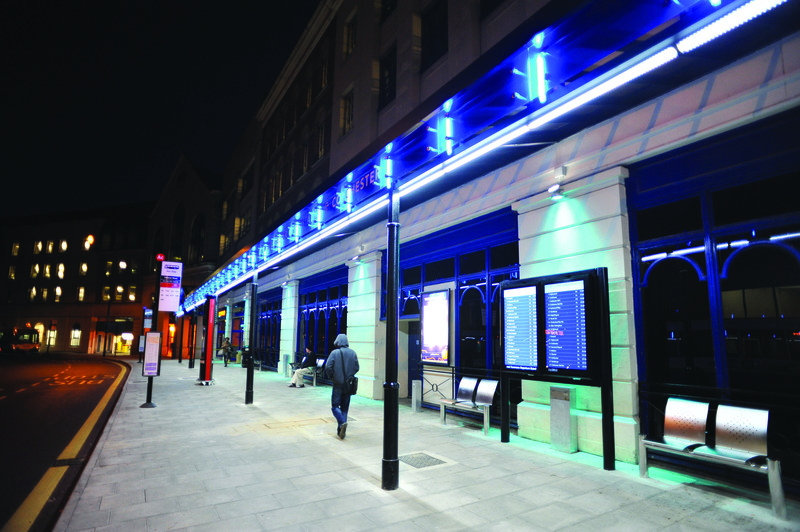 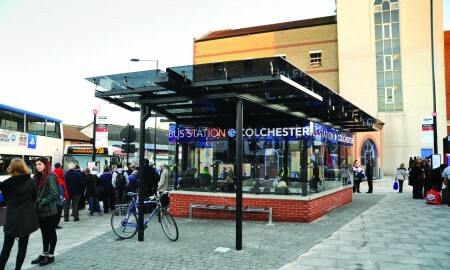 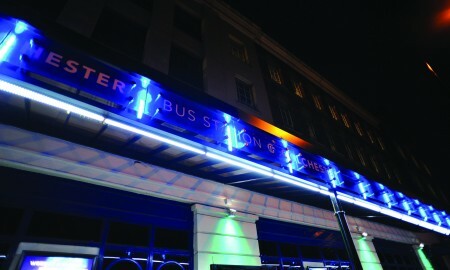 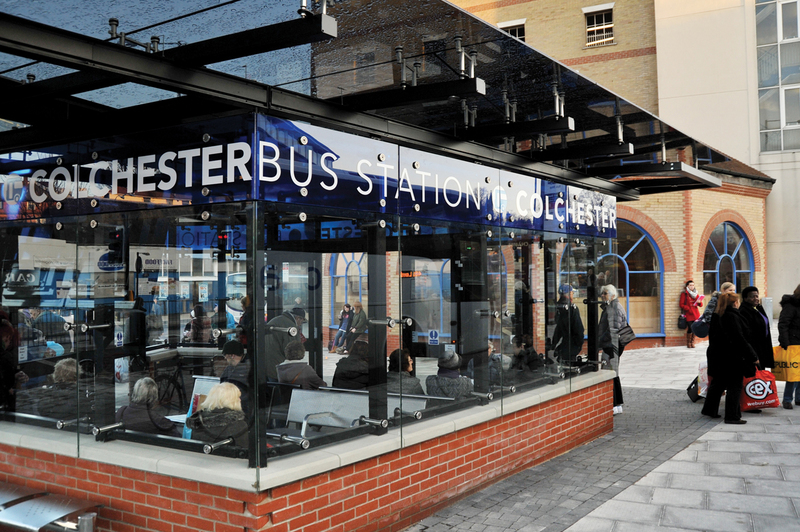 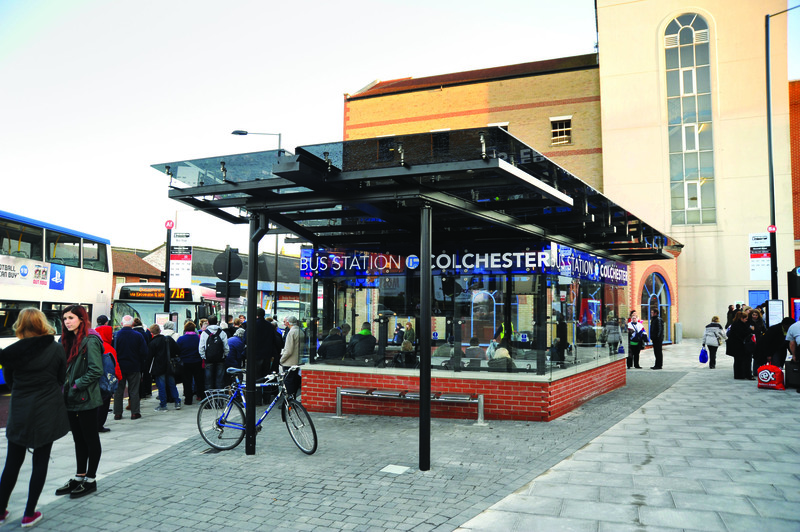 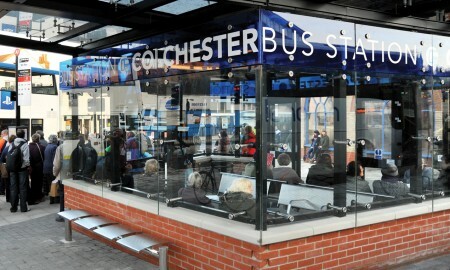 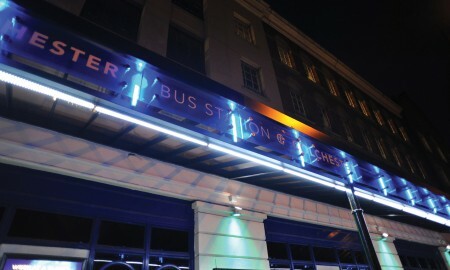 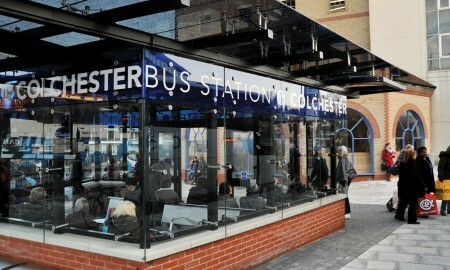 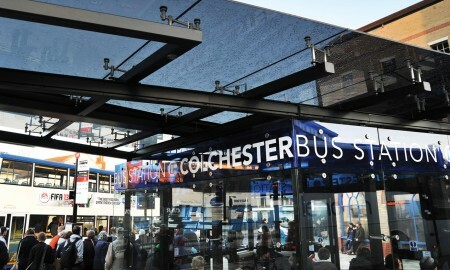 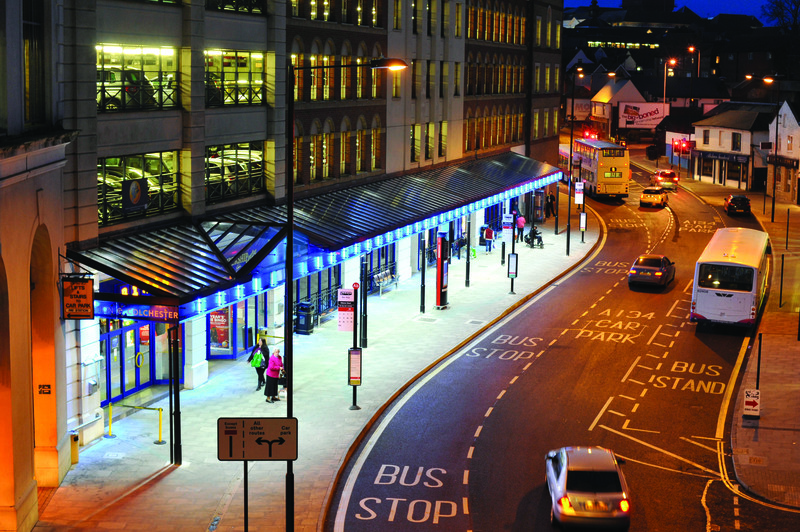 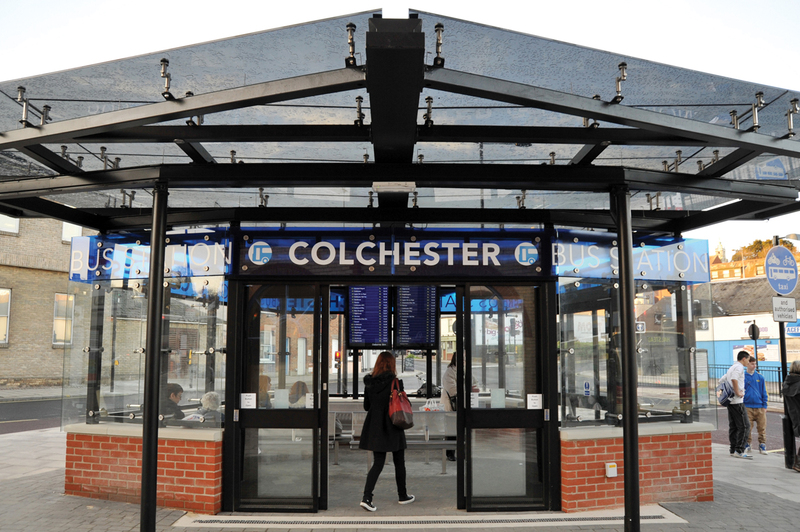 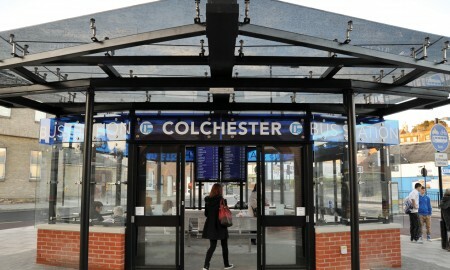 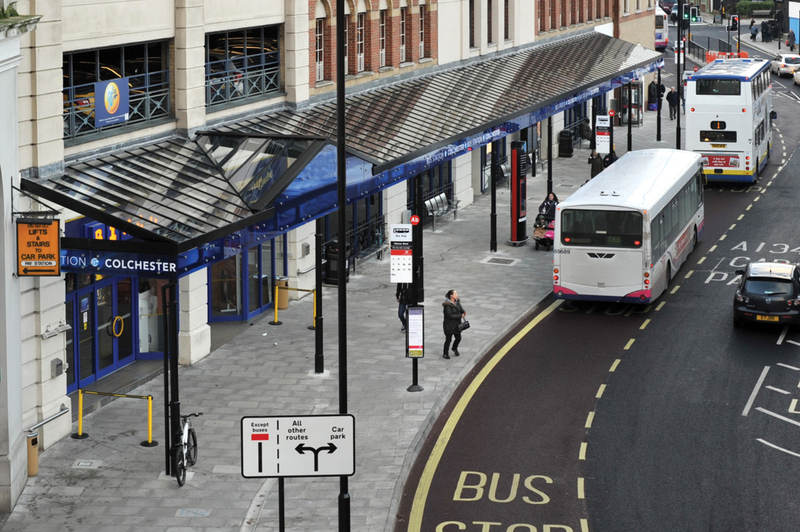 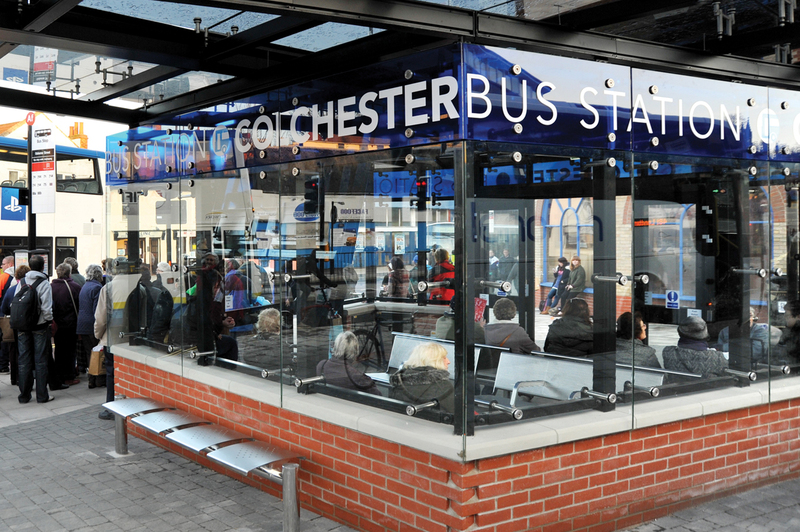 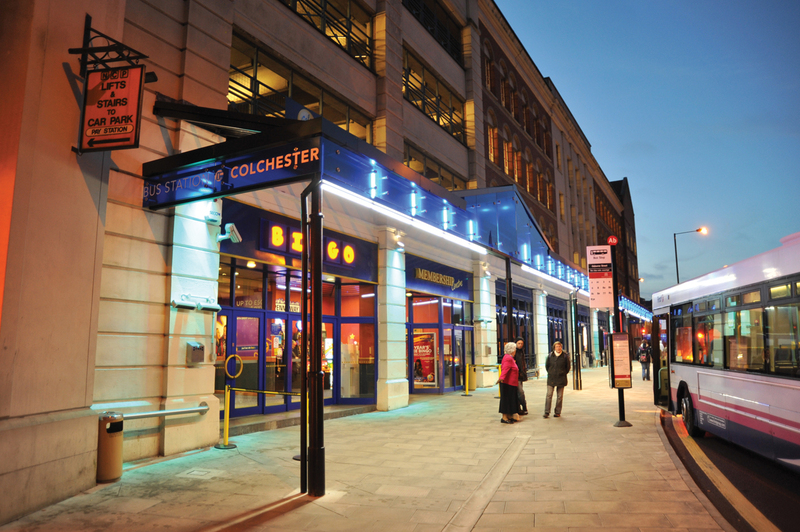 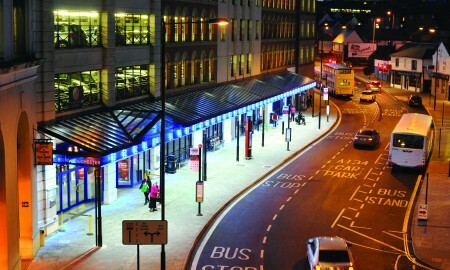 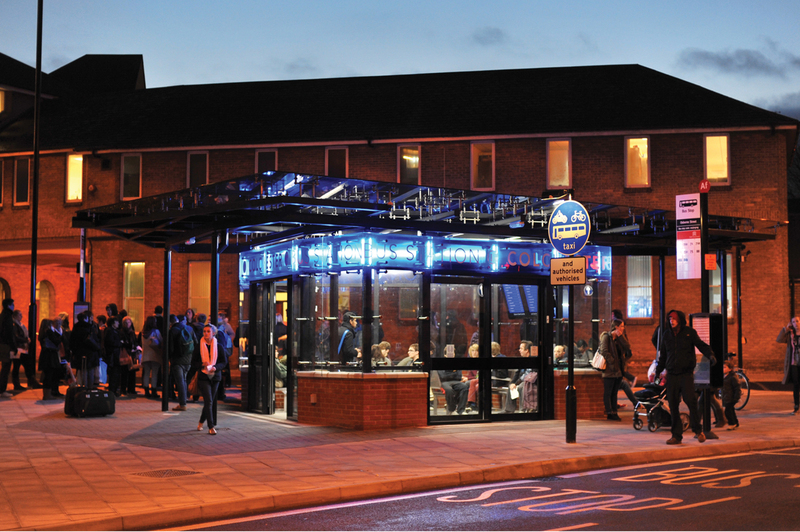 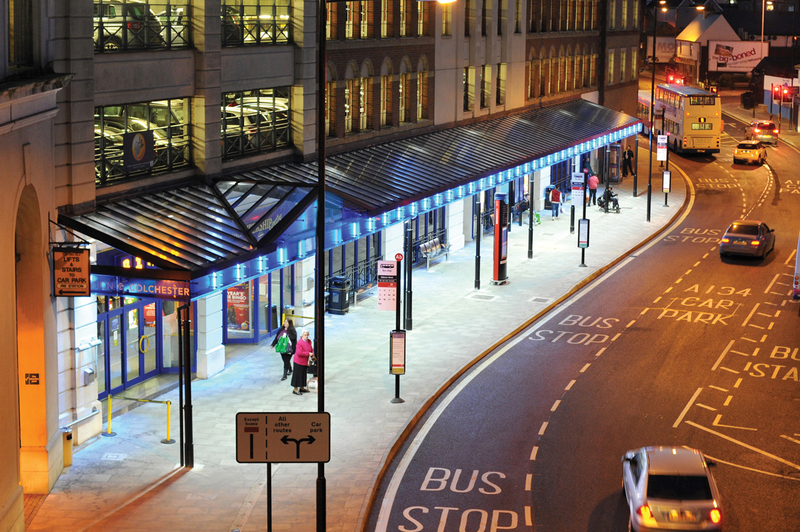 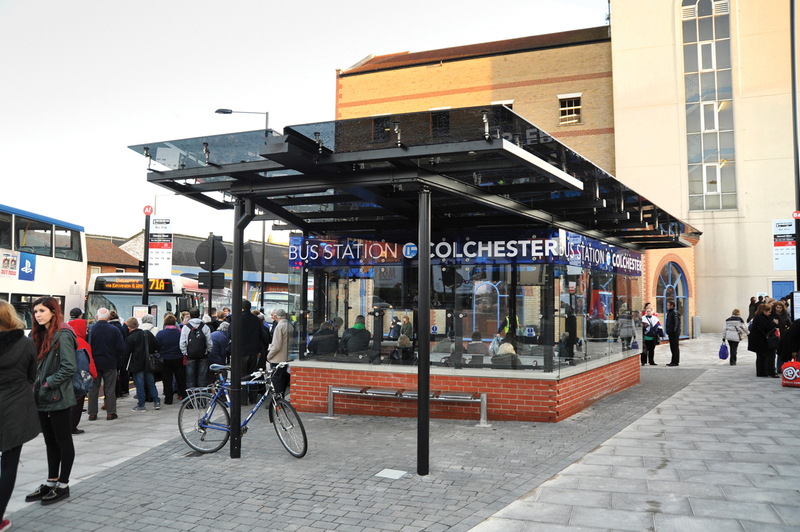 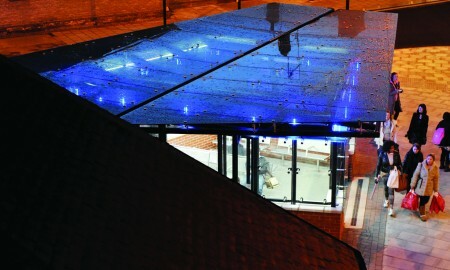 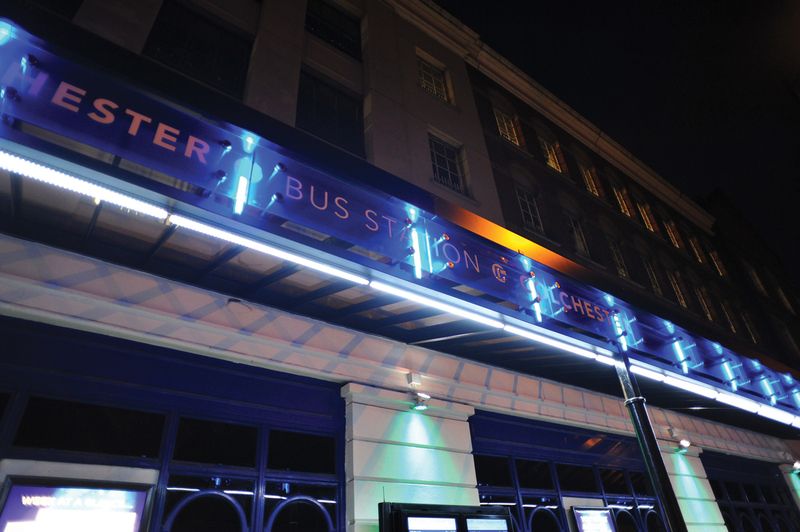 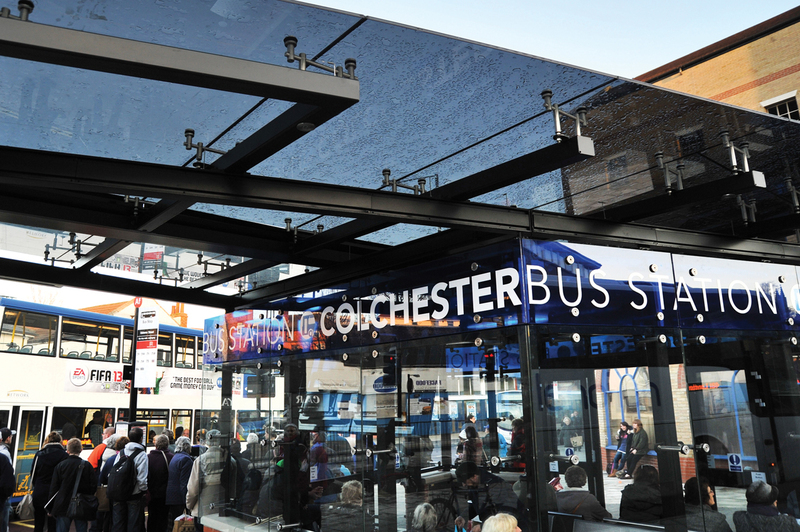 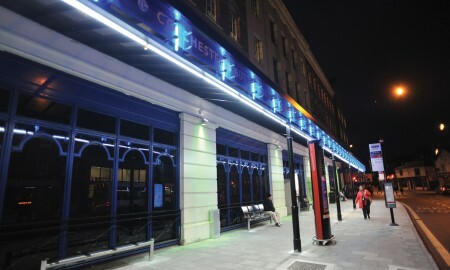 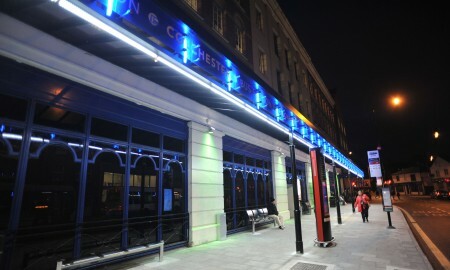 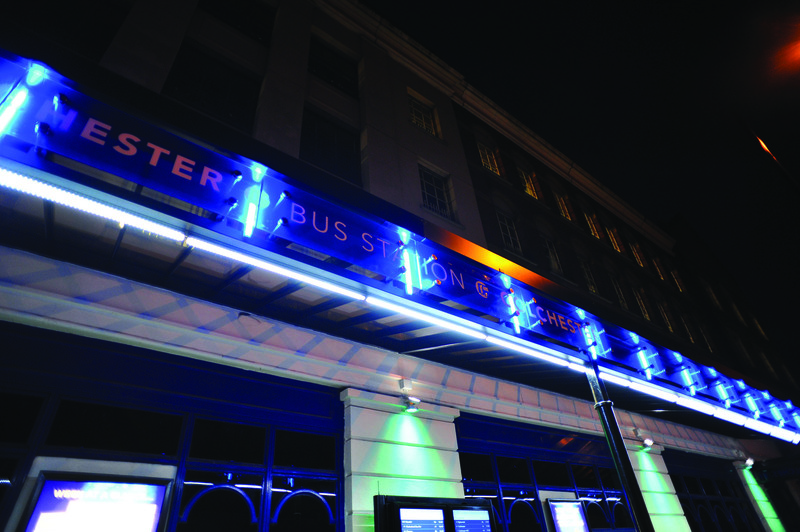 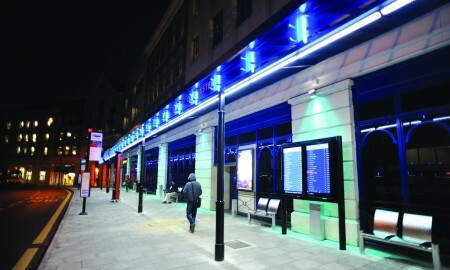 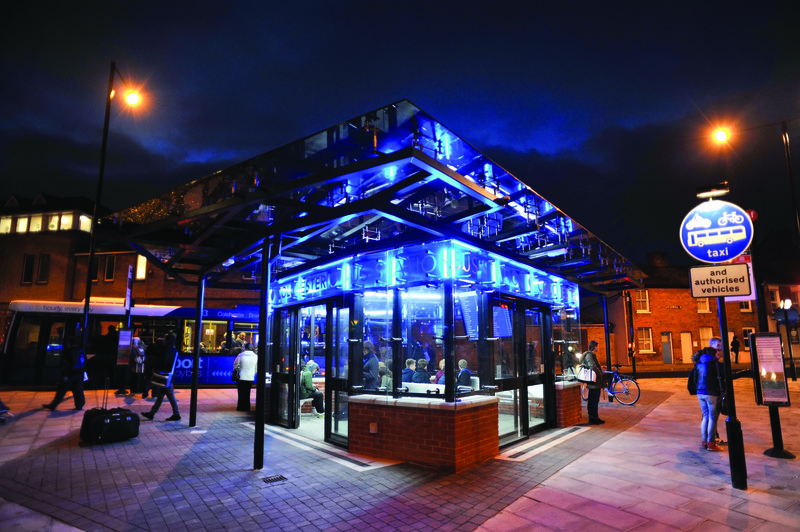 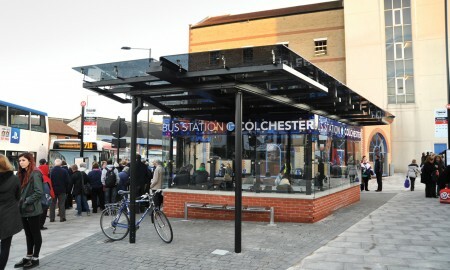 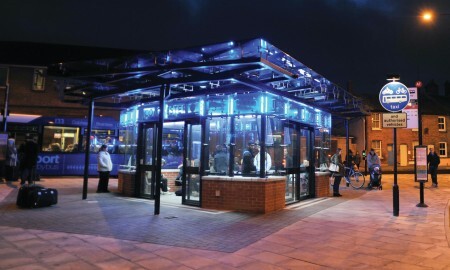 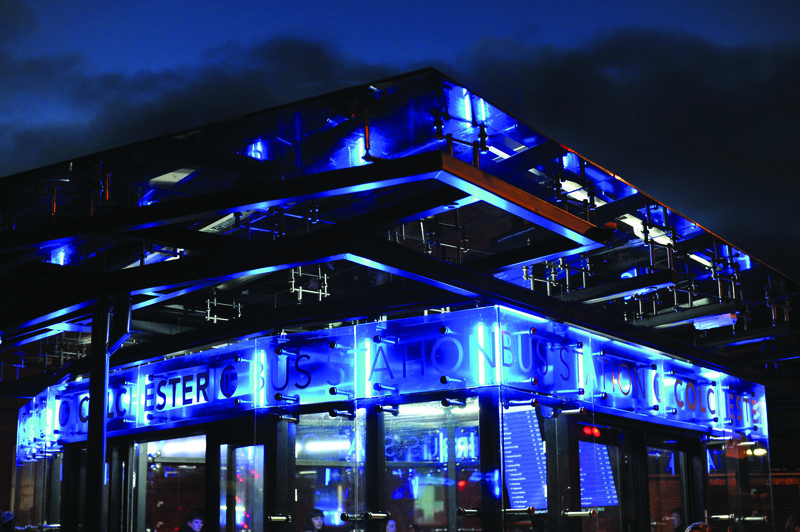 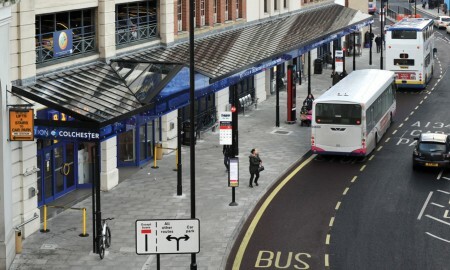 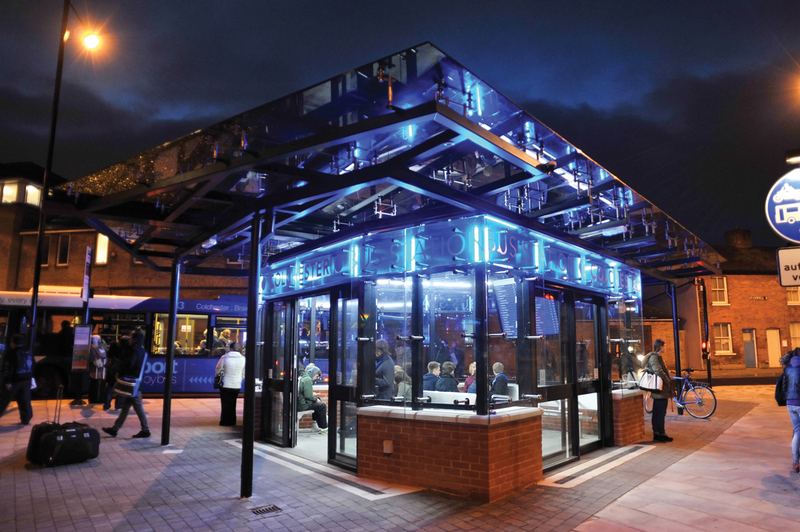 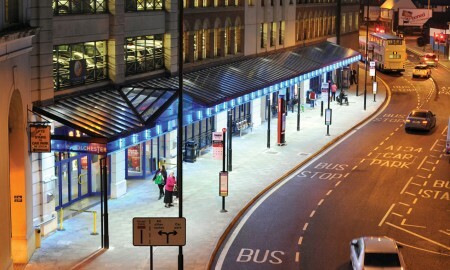 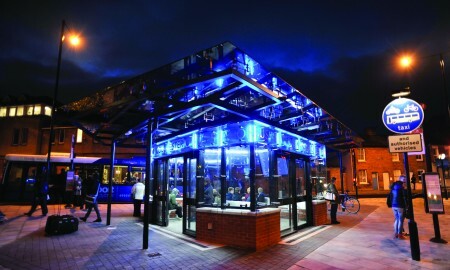 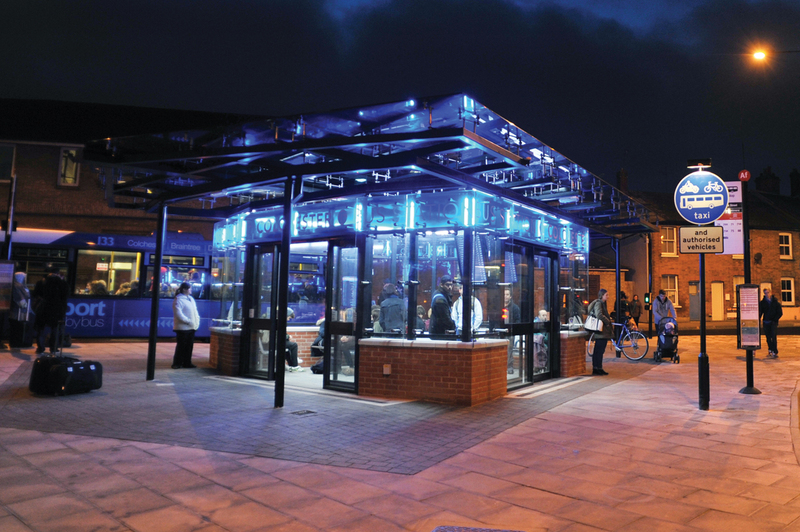 The new bus station is part of Essex County Council and Colchester Borough Council’s work to improve bus travel and passenger facilities throughout the town, as part of the ‘Better Town Centre’ programme for Colchester. 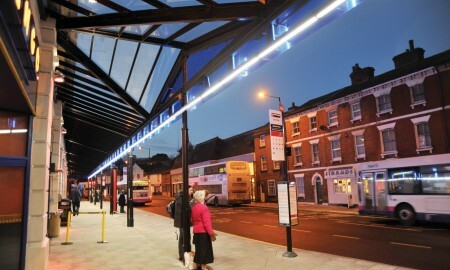 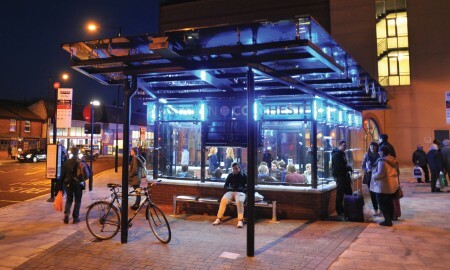 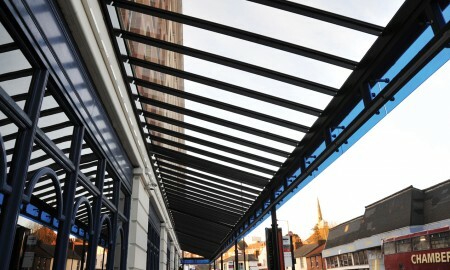 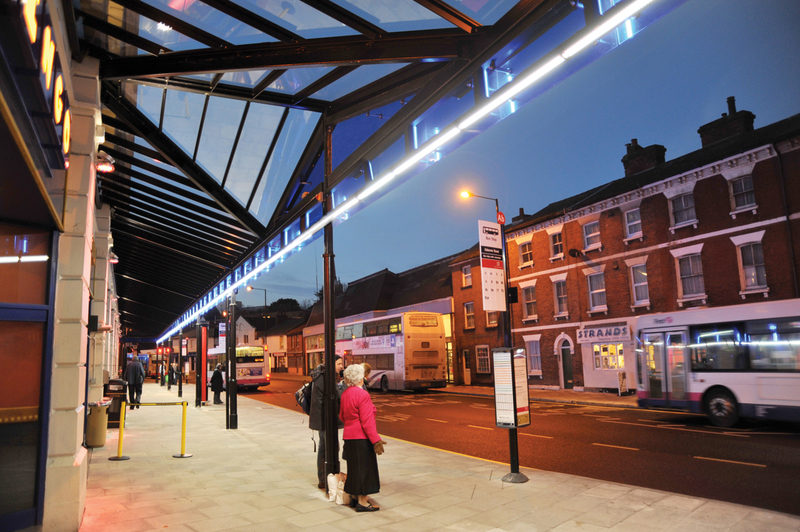 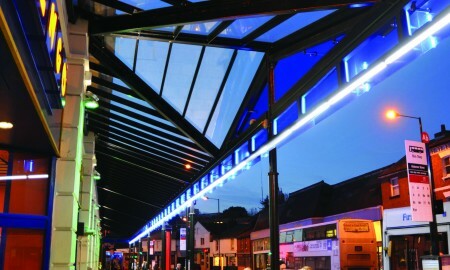 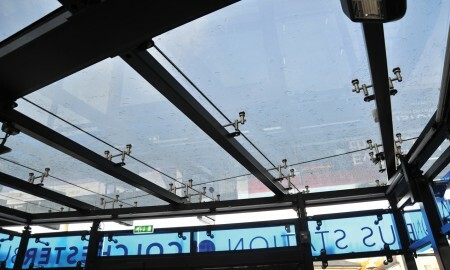 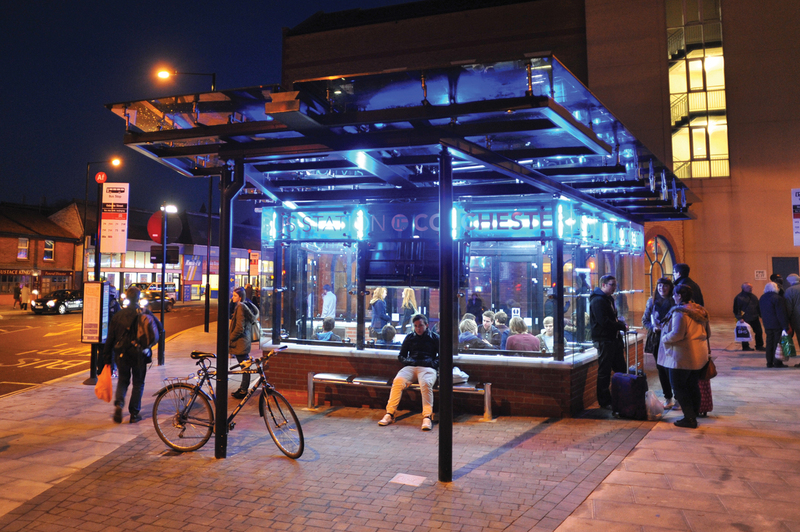 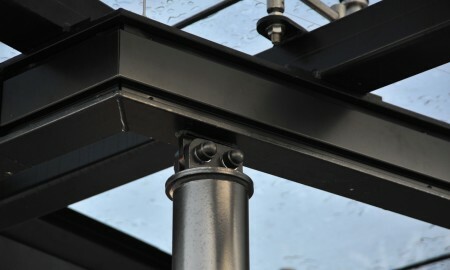 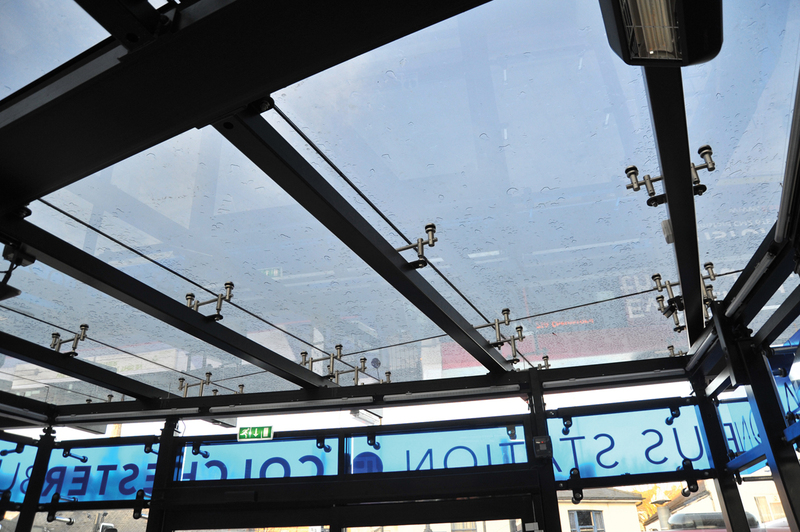 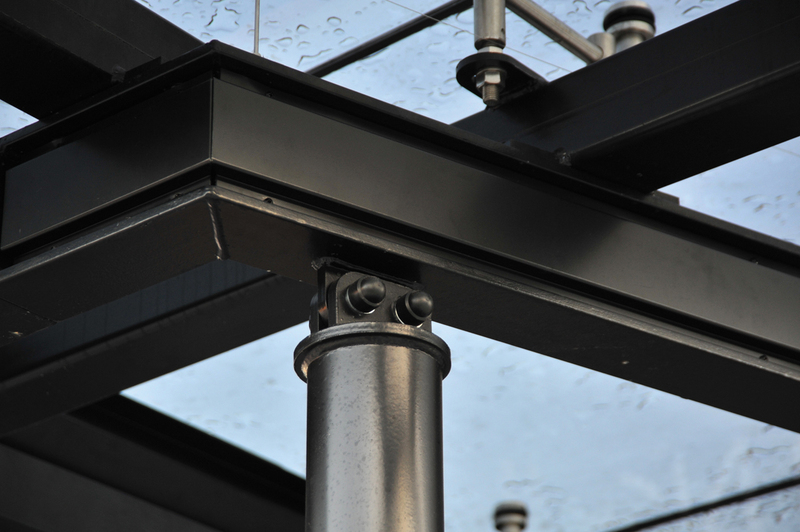 This part of the project brief, for the “hi-frequency” stops, was to modernise an existing walkway canopy that had become dated and weathered. 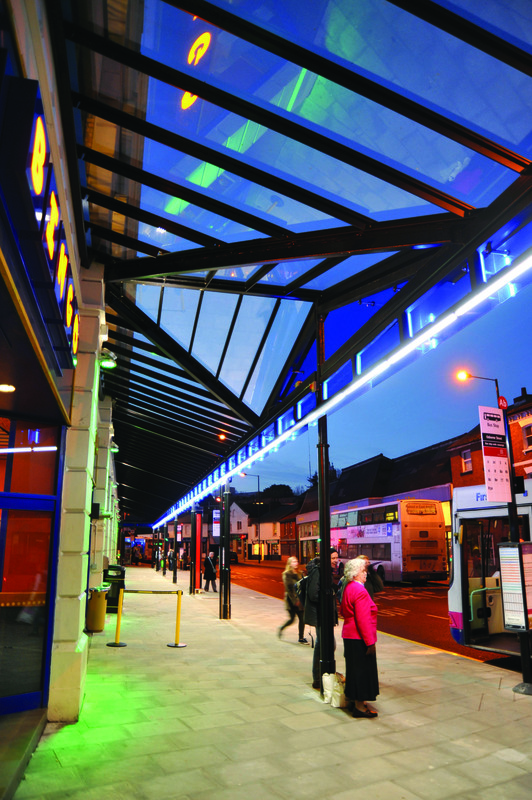 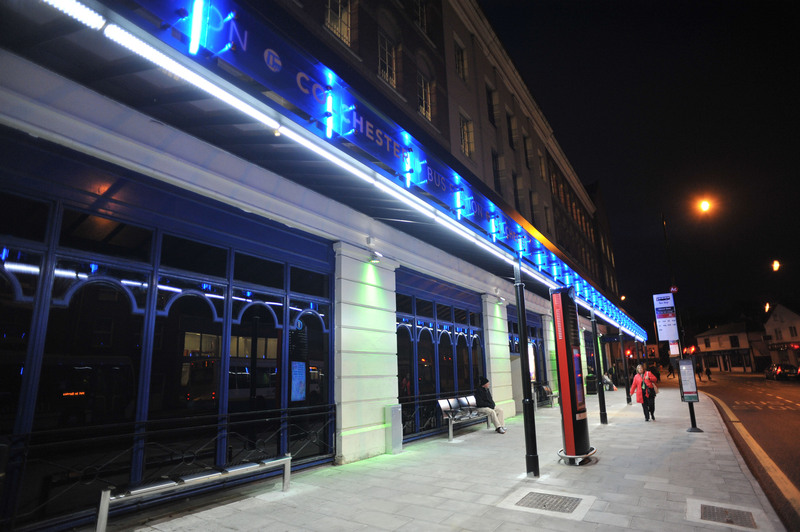 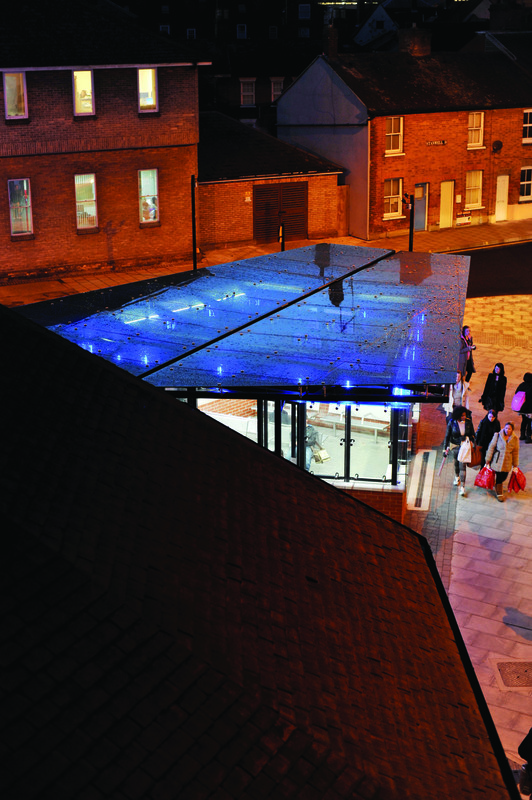 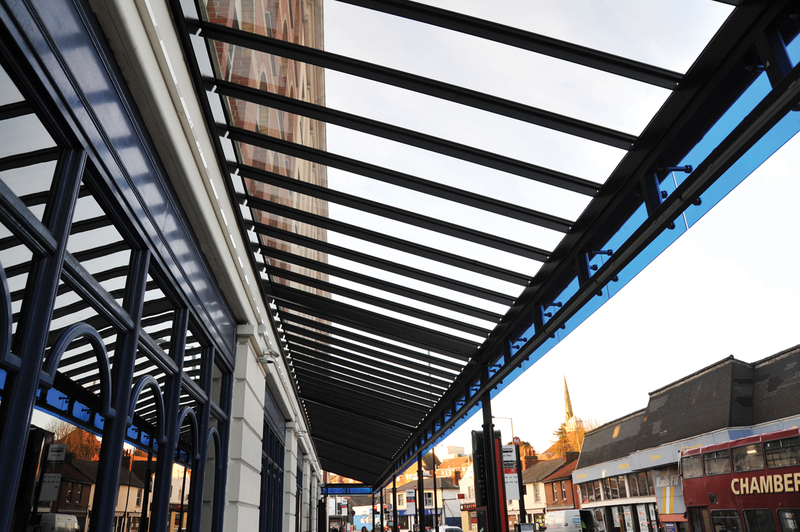 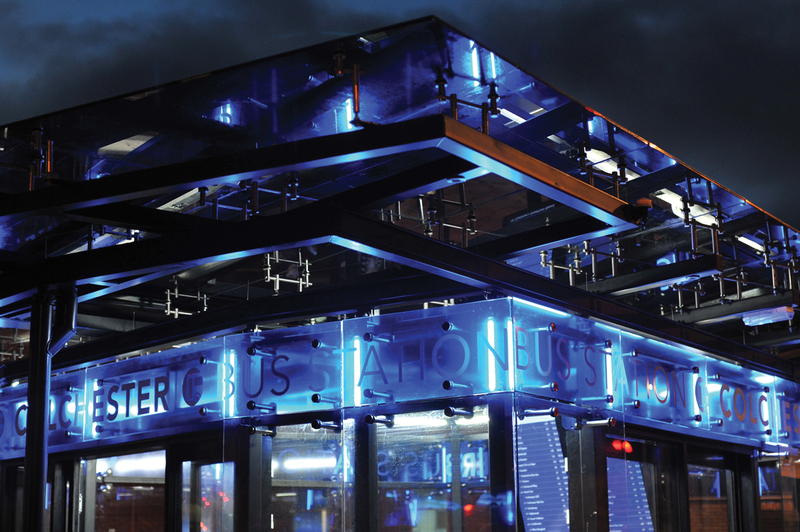 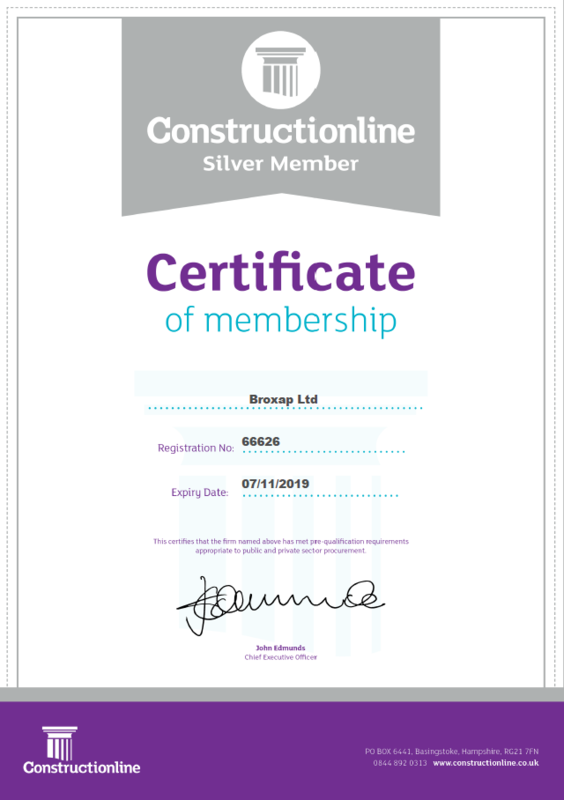 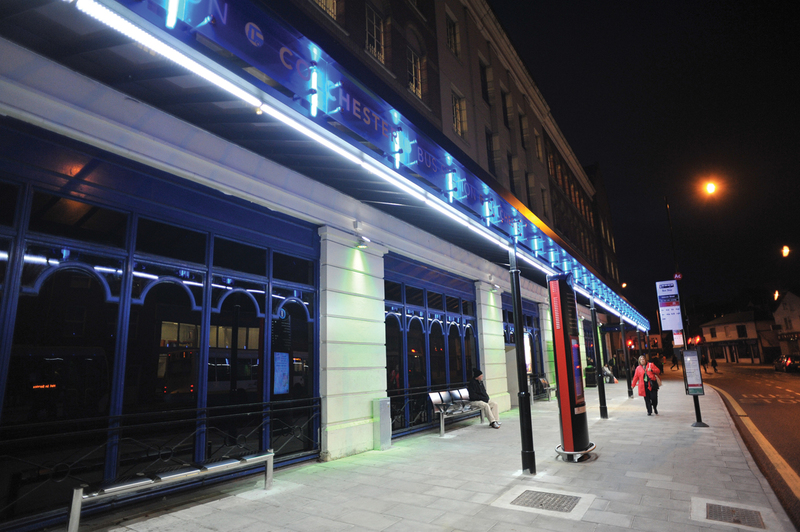 Our scope of works consisted of paint restoration works, replacement of a patent glazed roof and to provide a 21st century upgrade to the canopy, which was achieved with colour glass eaves, LED lighting strips and wall washer-lights. 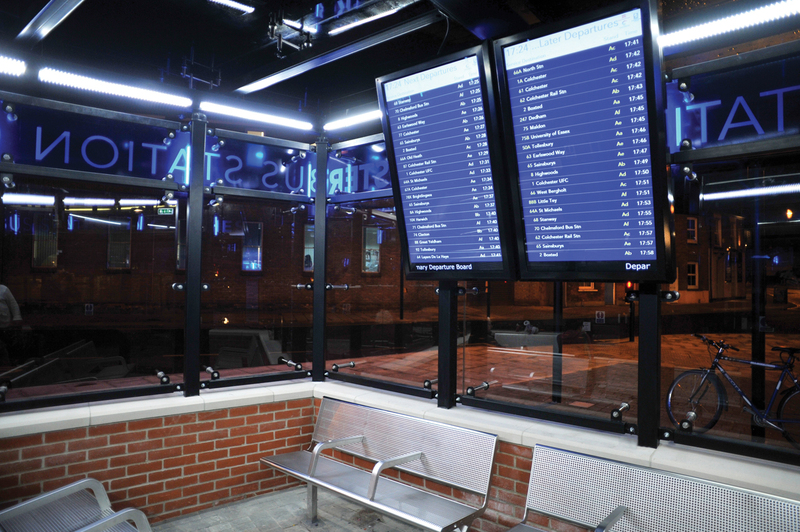 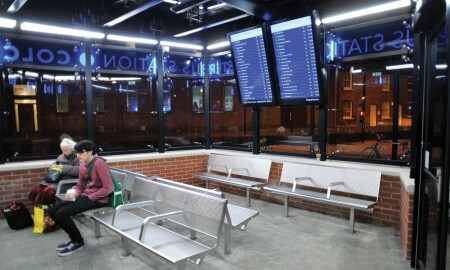 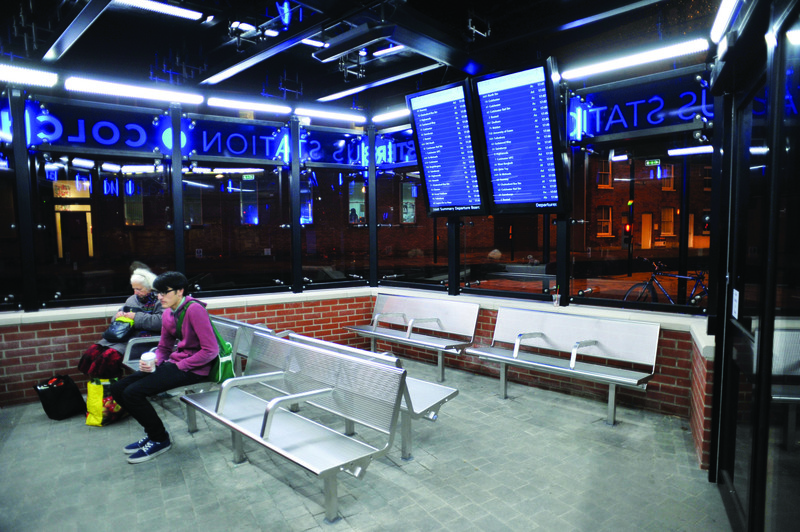 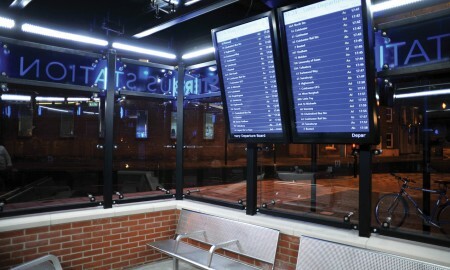 Additional to the “hi-frequency” or short waiting stops, a more comfortable passenger waiting lounge, featuring heating, lighting, seating and real-time journey information was also needed. 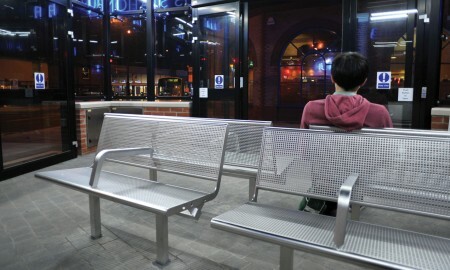 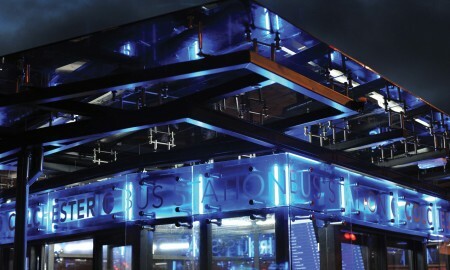 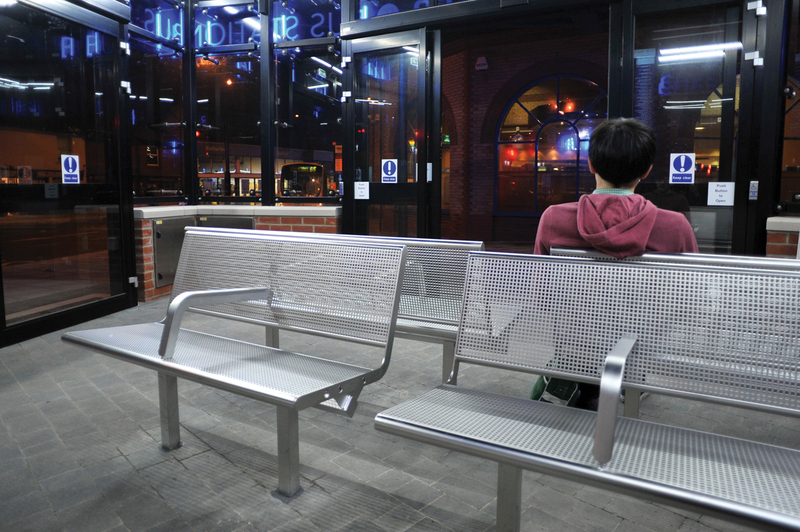 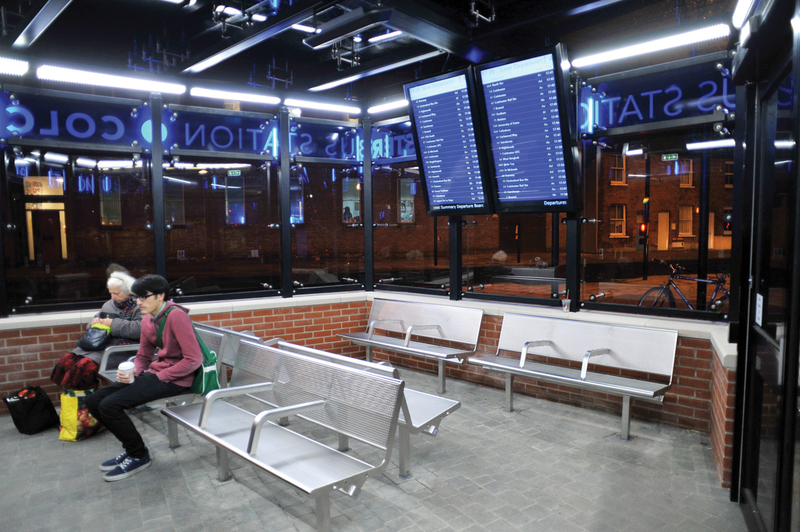 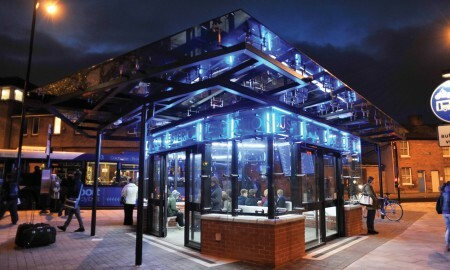 This part of the project brief was to design, supply and install a comfortable passenger waiting lounge, where the public may wait in true shelter for “lo-frequency” buses and coaches. 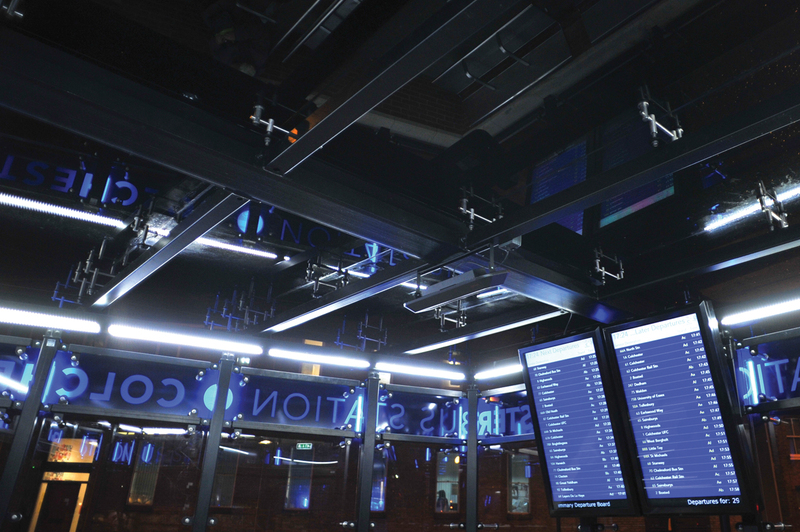 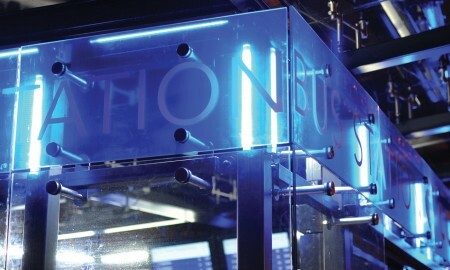 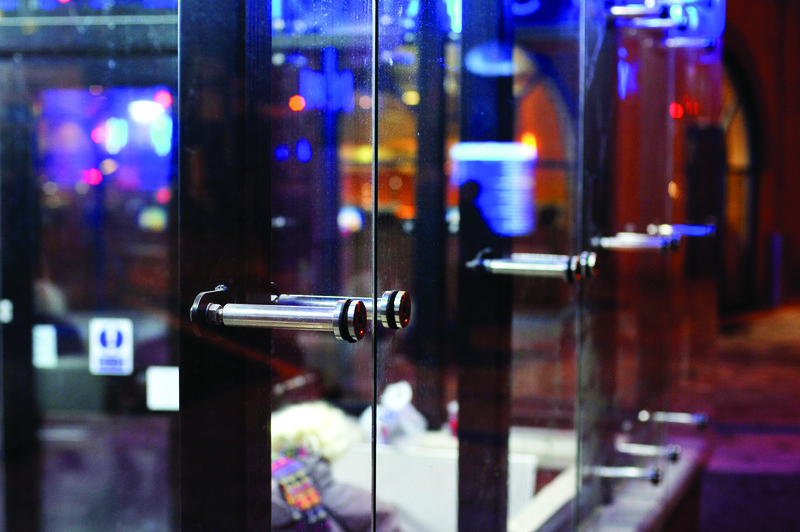 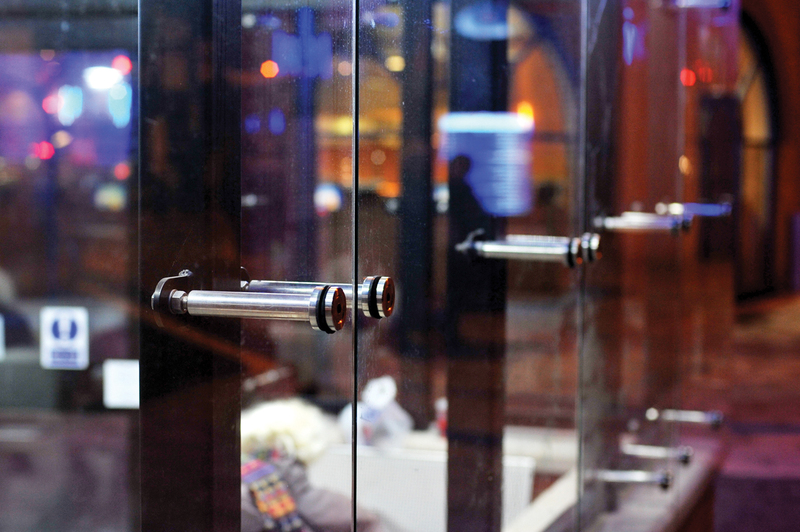 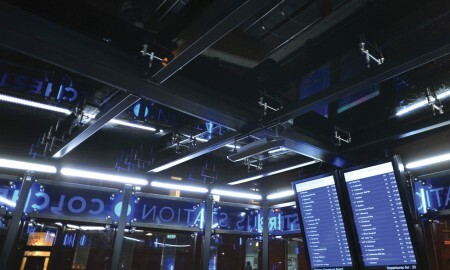 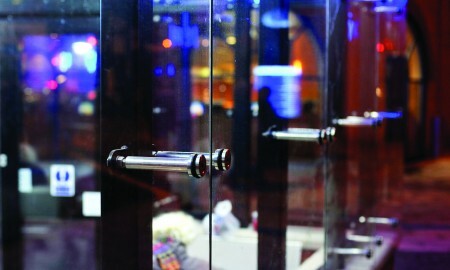 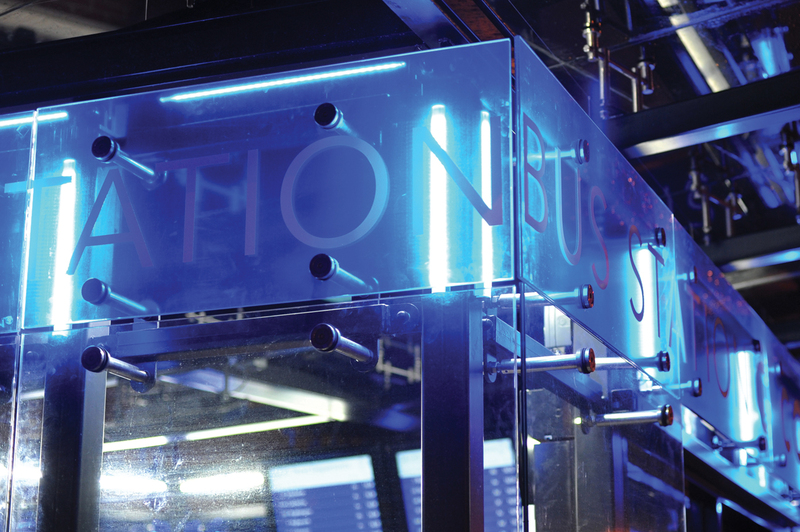 The lounge features heating, lighting, seating and real-time journey information with entry gained through automated access doors. 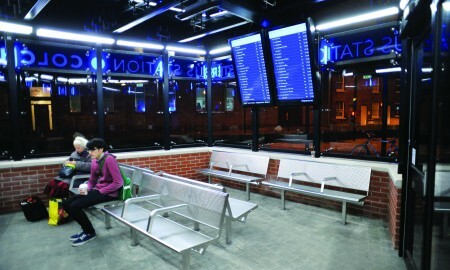 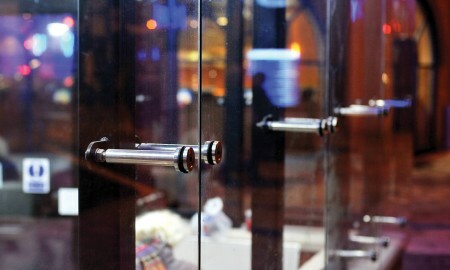 screens, a dwarf wall was also built by Broxap to complete the waiting room.